I just received a copy of the joint memorandum that was co-authored by the Honorable Jed S. Rakoff and Matt Redle, co-chairs, Subcommittee on Reporting and Testimony that was forwarded to Brette Steele, ‎Senior Advisor on Forensic Science and Senior Counsel to the Deputy Attorney General. What strikes me on my first reading is who the authors are. Far from the Ivory Tower types, the authors are people that should be listened to and their perspective strongly considered. 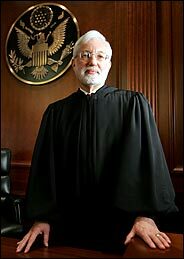 Honorable Jed S. Rakoff is a sitting senior status Judge for the Southern District of New York. According to Wikipedia page that features his background, the Judge spent seven years as a federal prosecutor with the United States Attorney for the Southern District of New York. For the last two of those years, he was Chief of the Business and Securities Fraud Prosecutions Unit. He then returned to private practice where he was a partner first with Mudge, Rose, Guthrie, Alexander & Ferdon, and then with Fried, Frank, Harris, Shriver & Jacobson. He headed both firms’ criminal defense and civil Racketeer Influenced and Corrupt Organizations Act (RICO) sections. So, in this author we have experience and a perspective that should be listen to by all. Matt Redle is the elected County and Prosecuting Attorney for Sheridan County since 1987 is District Attorney in Sheridan, Wyoming. Prior to his election he was a Deputy County and Prosecuting Attorney for 6 years in that office. He is a member of the Wyoming Supreme Court, Permanent Rules Advisory Committee, Criminal Division. He was the Vice President of the National District Attorneys’ Association, having been a member of the board since 2000. He has been a member of the National District Attorneys Association DNA Legal Assistance Advisory Group since 1995. Mr. Redle was the National District Attorneys Association liaison to the ABA Criminal Justice Standards Committee. He was co-chair of the ABA Criminal Justice Section’s Legislative and Policy Committee. He is a past president of the Wyoming County and Prosecuting Attorneys Association. Certainly, this is someone who has front-line experience in state court. At the October meeting of the National Commission on Forensic Science, the Subcommittee on Reporting and Testimony presented a draft report on discovery that, reduced to essentials, recommends that the Attorney General direct his prosecutors to require that forensic science experts testifying on behalf of the Government make considerably fuller disclosure of their data, methodology, experience, and results than is presently disclosed. 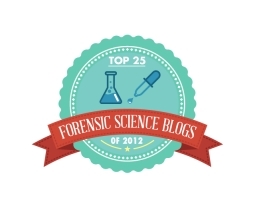 Indeed, from the standpoint of improving forensic science and making its application to criminal prosecutions more accurate (which were key reasons for the very creation of the Commission), discovery is probably the most important area of intersection between forensic science and the courtroom, because it is only through adequate discovery that forensic science can be meaningfully scrutinized in any specific case. And just what is so offensive in the idea that trial by ambush does not promote justice? What is in the National Commission on Forensic Science, the Subcommittee on Reporting and Testimony Pretrial Discovery in Forensic Evidence Cases-Policy Recommendations that is too radical for DOJ to handle? Looking at the members of the subcommittee and the work product at the end of the process is instructive. 1. Pretrial disclosure of forensic evidence should be comprehensive and reciprocal — subject to the U.S. Constitution and the law of privilege. The prosecution’s disclosure obligation should apply whether or not the information will be used at trial. The defense obligation should apply to evidence that is intended for use at trial, including the opinions of testifying experts who have not performed any testing. 2. The results of all forensic examinations and all expert opinions should be recorded; oral reports should be reduced to writing. The results of examinations and expert opinions should be recorded at the time the examination is conducted or an opinion is formed — or promptly thereafter. 3. 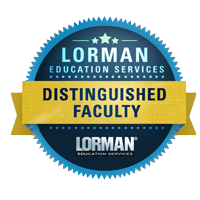 The results of all forensic examinations, expert opinions, and related case documents (e.g., bench notes, graphs, electropherograms, calibration reports, etc.) should be subject to disclosure. 4. An expert witness’s qualifications should be subject to disclosure, including a list of publications authored and a list of recent cases in which the witness testified as an expert at trial. a. Disclosure of initial laboratory reports should occur as soon as practicable after completion of the examination so that counsel has sufficient time to consult with an expert — which may require applying for funds to retain an expert — and to permit retesting. b. Disclosure of all other items should occur as requested and no later than 90 days before the scheduled trial date. 7. Information, such as laboratory testing protocols, quality assurance procedures, accreditation and audit reports, proficiency testing results, and internal validation studies, should be readily accessible — preferably by posting on the internet or electronically upon request. 8.Forensic evidence should be preserved both before and after trial — until appeals are exhausted and sentences served. Jurisdictions should promulgate procedures concerning the preservation and retention of evidence. Evidence should not be unnecessarily consumed during testing, and consumptive testing should not be done without notice to the defense if a defendant has been charged. 9. The defense has the right to inspect and retest forensic evidence that is under the custody or control of the prosecution. The prosecution has the right to inspect and retest forensic evidence that is under the custody or control of the defense and that the defense intends to use at trial. Who in their right mind can object to any of this?